Born in Mexico City, Celia Calderon is a female artist that became well known for her prints, paintings and watercolors. 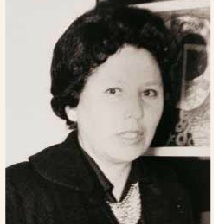 Her technique won her various awards and recognitions from such personalities as Justino Fernandez, father of Mexican Modern Art history. Her formal education in the art world was at the Escuela Nacional de Artes Plasticas and at the workshop of Diaz de Leon. She traveled to Great Britain with a scholarship and studied at the Slade Art School in London where she learned the techniques of printmaking and graphic arts. She has held multiple exhibitions in Mexico, the Soviet Union, Beijing, and the US. She worked several techniques of graphic arts such as engraving and lithography. Due to her masterful work she was invited to join the Sociedad Mexicana de Grabadores in 1947 and the Taller de Grafica Popular in 1952. She eventually became a teacher of graphic techniques for over two decades. During the sixties she received various recognitions for her work by the artistic community but died tragically in 1969.